This month, we will be looking at next Blog in the series titled the Total Cost of Ownership (TCO). The second TCO we will investigate this month includes looking at some of the hidden costs of using water as Dust Suppressant. At first glance, water seems like the natural solution to suppress dust because it is safe and cheap. In many applications, the water is looked at as costing nothing. Another reason that can influence the use of water as a dust suppressant around a site is its availability or in some cases an over availability. We will provide you with some of the hidden costs of using water as a site’s dust suppressant. One of the primary hidden costs of using water as a dust suppressant is the fuel and wages consumed when applying water. 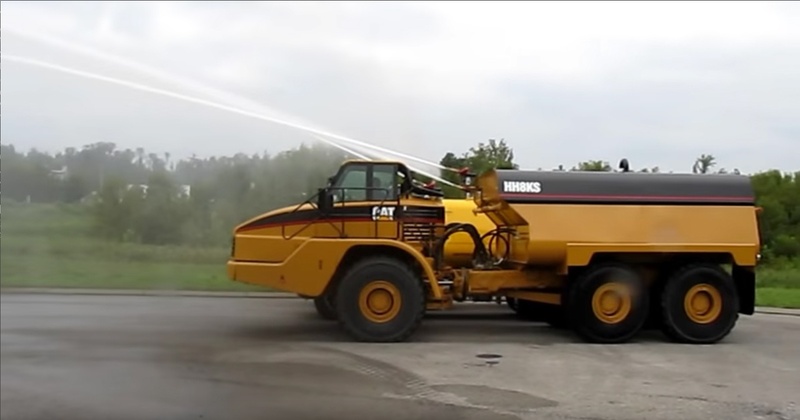 Most sites that apply water do so using a Water Truck, see example With a water Truck such as Cat 740B (or similar) with an 8000 gallon Water Tank one can expect it to conservatively consume diesel at 8 Gallons per hour. If the cost of diesel were approximately $3.00/gallon, then Watering a Site would cost $24.00/hour for only fuel. The average wages for Water Truck Driver is between $22-26/hour. Without Worker Benefits or Equipment Maintenance costs, delivering water for Dust Control will cost a site about $48/hour. In addition, water by itself is not all that good at Suppressing dust. Why you might ask in particular evaporation and subsequent high use rates are just a couple of issues with using a water only dust suppression system. A couple other issues with water as a dust suppressant 1) use high volumes of water to wet coal fines and temporarily adhere them to larger coal pieces in order to prevent the fines from becoming airborne. This massive addition of water robs coal of its BTUs (heating value), causes plugging in chutes and hoppers, and creates a slippery environment and 2) water also offers no residual dust suppression performance. The weak bonds created by the moisture addition disappear upon drying, making the fines vulnerable to becoming airborne once again. 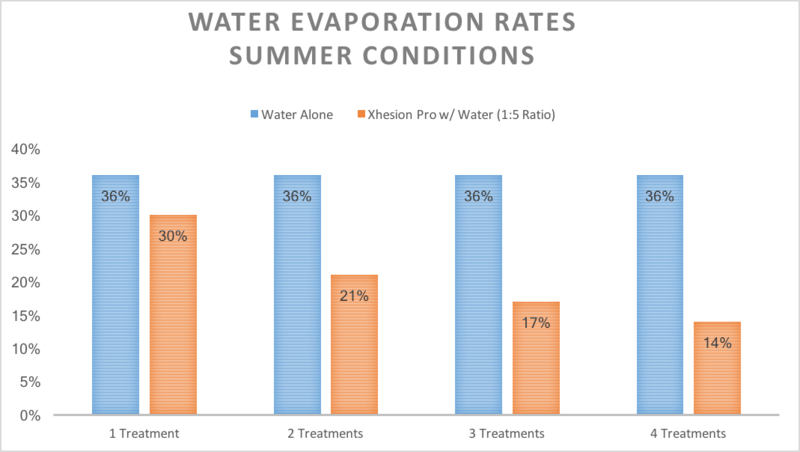 The chart at the bottom of this article shows how much less water will be needed when X-Hesion Pro is added at a 1:5 ratio. So a Water Truck spraying water for dust control for half the shift might only be needed for a couple hours. Saving diesel, wages and routine maintenance expenses, while controlling dust even better. EnviroTech’s salespeople and technical staff will help you get started with a site survey that will ultimately allow us to create a program customized for your exact needs. The equipment installed will meet your needs and your budget. The X-Hesion Pro will be compatible and has been developed to meet your safety and environmental health requirements. For more information about EnviroTech Services’ please visit our website at www.envirotechservices.com or call 800-881-5848.